A merger and acquisition deal comes after a lot of planning especially in the context of the financial health of the company. Reviewing the financial health of a company is based on a number of factors. When it comes to detailed investigation of a company which is also popularly referred to as due diligence, the historical or the forecast options are taken into account. However, the focus on due diligence is going to be higher than the rest of the aspects as it represents a big investment for the buyer. The financial due diligence services can be hired to stay on track with the financial health of the company. Financial due diligence not only peeps into the history of the financial performance of the company, but also considers the financial performance forecasted for the company under the existing business plan. 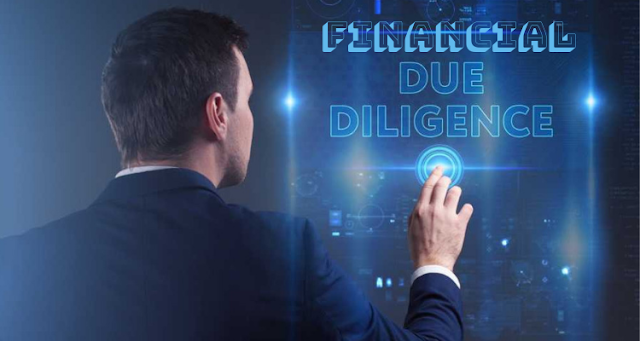 No wonder hiring due diligence services specializing in excavating the financial health of the target business is the best decision you can take to consolidate your decision of buying the business. However, financial due diligence is often mistaken as audit as it focuses on the history of the financial records and whether it is a true representation of the financial records of the company. Apart from this, it also investigates those reasons that offer a quick view of the financial trends observed within a specific period of time within the company and report it before moving ahead the proposed transaction. When it comes to the due diligence methodologies, there are no fixed notions or standards followed by the commercial due diligence services and everything depends on scalability. However, the focus stays on the historical data, the depreciation and the amortization taxes, debts and liabilities, the value of the net assets, requirements of capital expenditure and the financial results that are projected. It is only after reviewing all these options that the seller company can evaluate the presence of deal breakers to find out whether the factors are enough to determine the true worth of the company. While financial due diligence is one of the factors determining your decision to complete the deal of mergers and acquisition, it is equally important to execute the process at the right time. Make sure, you appoint the due diligence service providers at the right time especially when the business is about to be acquired soon. The process begins when the interest of buying the company is expressed before the seller through a letter of intent that presents the detail of the transaction as agreed between the buyer and the seller. This process goes on along with the negotiations and typical time taken to complete the deal is about two to four weeks although the size of the company to be acquired is also to be taken into consideration. The financial due diligence procedure can be conducted by the auditing and the accounting experts or carried out by the top due diligence firms in India. The intention is to get a fair opinion from people who have no interest or stake in the transaction. Apart from this, the work can also be conducted by experts who have knowledge inside out about the procedure of due diligence. During financial due diligence, it is necessary to check whether the records provided by the seller is accurate and the historical earnings and revenue can be sustained in the future. It also investigates whether the company has invested maximum amount in capital expenditure and checking all the liabilities that the seller has not reported. The future earnings of the company and its commitments are also to be noted deeply while conducting financial due diligence. A leading company can offer top level services in financial due diligence as they are well-versed with the process. Seema Mehra is a business advisor working at Ashok Maheshwary & Associates-Chartered accountant firm. She is a professional writer and loves to share business related topics.